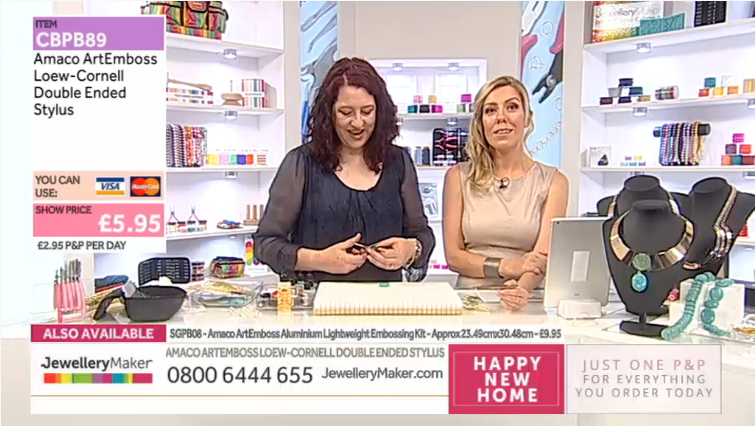 Shopping channel Jewellery Maker is available 24 hours a day via internet connected Freeview devices. The channel, which returned to Freeview in July as a standalone channel after leaving 5* , is broadcast over the air on channel 76 from 8am until midday. For the remaining hours, viewers with compatible Freeview devices are connected via the internet through Arqiva's connected TV service, which is also used by other Freeview channels including QVC Beauty and RT. Jewellery Maker is the first channel of its kind to focus solely on making your own gemstone jewellery through purchasing kits and making it yourself. The channel currently broadcasts live from 9am to 9pm, rebroadcasting its live shows during the remaining hours.